A happy week of writing with several great achievements and new clients at Ruby Assembly Consultants. 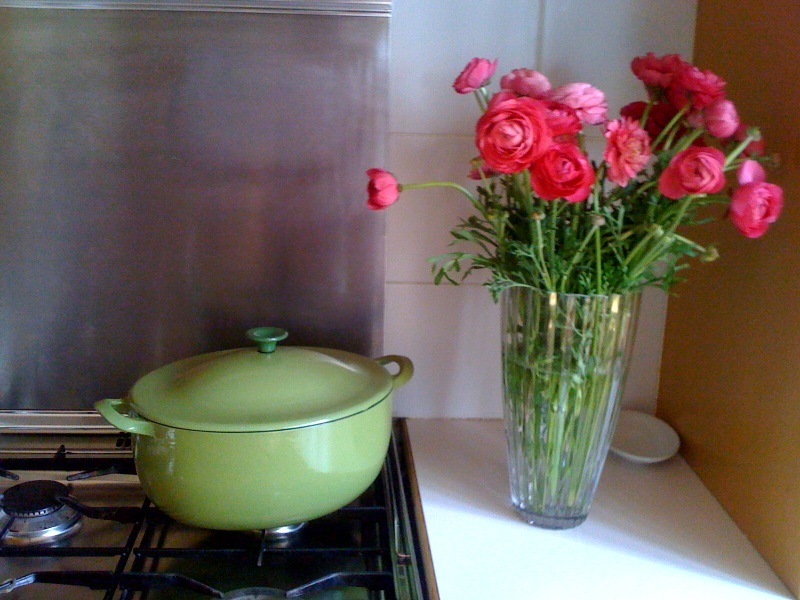 Here are some of the goings on and photo vignettes including the first bunch of summer pink Ranunculus from Flowers Vasette to grace our work environment. This week some fabulous things have happened chez the house of Ruby Assembly. This includes the news that one of the clients we represent, Adam Joske of Gary Peer has been nominated as a finalist in the REIV Awards for Excellence 2010 in the category of Residential Salesperson of the Year. We are proud to be associated with Adam and ‘Team Joske’, and are so pleased that his innovative approach to real estate have been acknowledged. This week Ruby Assembly has also been invited to do further copywriting for Nelson Alexander and Marston & Cook, both leading agencies in their respective markets. We thank them for this opportunity and look forward to representing their vendors’ homes in the best possible, most dynamic light. 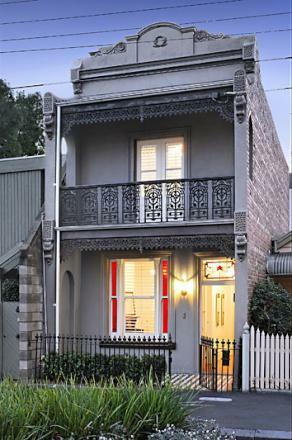 Below is a wonderful home we provided copywriting for from Nelson Alexander on Rae Street in Fitzroy North. It’s effortlessly elegant and uber-romantic. We are also pleased to announce that Ruby Assembly has been selected to represent one of Melbourne’s premiere galleries ‘Linden Centre for Contemporary Art’. This is a unique artist space with a true community, based in St Kilda. Keep your eyes peeled for an upcoming social media suite and fabulous interaction from Linden in your area. Ruby looks forward to representing more galleries in Victoria and Nation-wide – watch this space! Finally, what true writer hasn’t their muse? This week Ruby Assembly’s muse is to be found at Proud Mary, on Oxford Street in Collingwood. 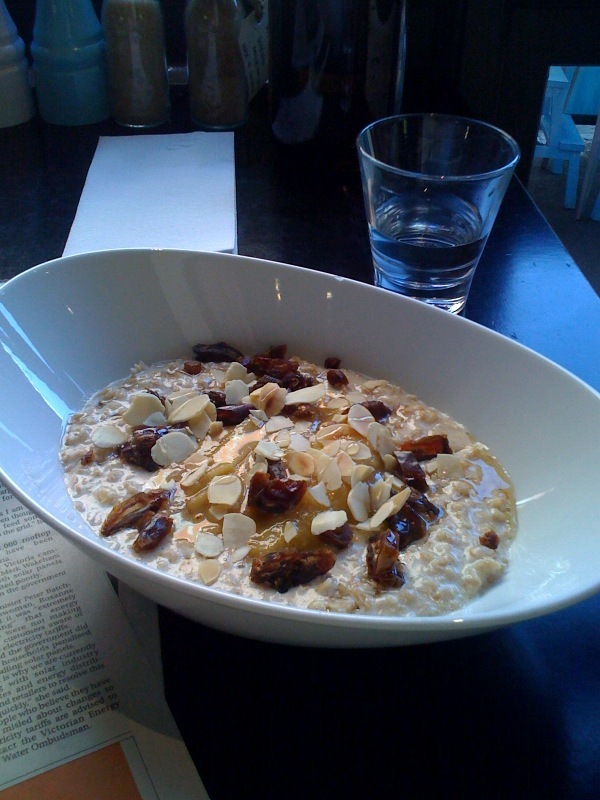 Below find a picture of a perfect breakfast of Banana, Butterscotch and Date Porridge with a cappuccino and The Age. Muse-a-licious, and perfect for fuelling our creative mind for a day of writing. Ruby Assembly Consultants – our joy jumps from our pen to the page. We represent enthusiasm, joy and a positivity of written tone unlike any other commercial author in Australia. Would you like some of our magic to rub off on you and your clients?